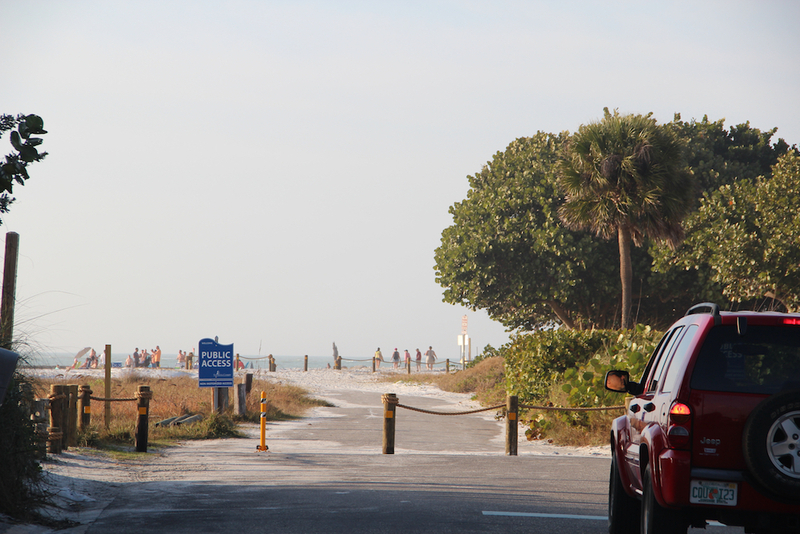 From the outset of a Sept. 27 hearing, a 12th Judicial Circuit Court judge questioned a Sarasota County assertion that the resolution vacating a 357-foot-long segment of Siesta Key’s North Beach Road was advertised in a timely fashion, as required by state law, after the County Commission vote in the matter. 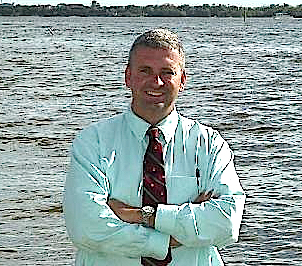 “Why is it that the adoption is not May 11, 2016, as the plaintiffs suggest?” Judge Frederick Mercurio asked Assistant County Attorney David Pearce as the hearing opened shortly after 9 a.m. in the Judge Lynn N. Silvertooth Judicial Center in downtown Sarasota. 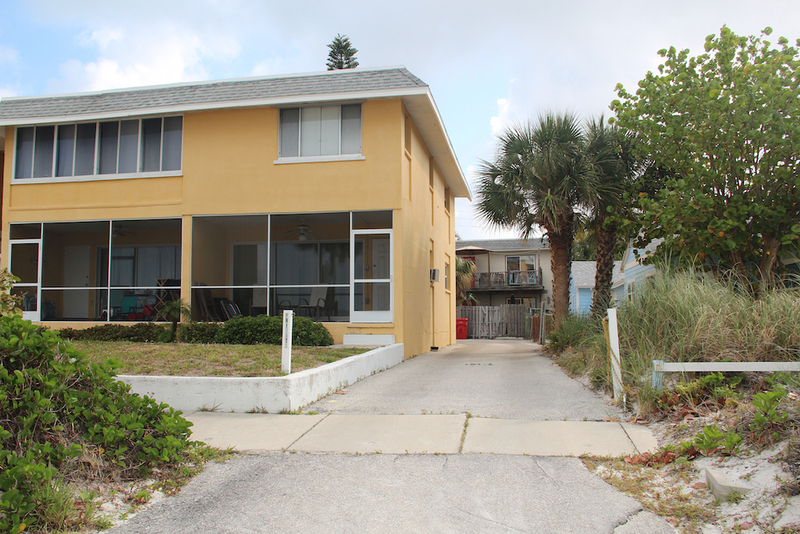 The plaintiffs in the case are Siesta Key resident Michael Cosentino and a nonprofit organization he founded last year called Reopen Beach Road. Cosentino has been fighting the road vacation since the County Commission voted 4-1 in May 2016 to approve it. “A resolution is not effective until it’s been rendered and filed with the Clerk of Court,” Assistant County Attorney David Pearce explained. Because the chair of the County Commission is present at a board meeting, Pearce added, the chair goes ahead and signs a document affirming approval of a resolution. That is just the normal process, Pearce indicated. Still, that resolution must be filed with the Clerk of the Circuit Court and County Comptroller, Pearce continued, before it becomes an official document. In this case, on May 11, 2016, the County Commission directed staff to create an additional 5-foot-wide perpendicular easement across private property seaward of the vacated road segment, to ensure public access would continue from the road to the Gulf of Mexico, Pearce told the judge. The three sets of property owners who had petitioned for the road vacation agreed to that request of Commissioner Charles Hines during the hearing. The survey was completed on June 9, 2016, Pearce said; the legal description was finished on June 10, 2016, and then, on June 27, the resolution was ready to be rendered and filed with the Clerk of Court’s Office. Five days later — on July 2, 2016 — it was published in the Sarasota Herald-Tribune, Pearce pointed out. After about 30 minutes of remarks by attorneys on both sides of the case, Mercurio said he would take the matter “under advisement,” meaning he would issue his ruling at a later time. On June 2, the county filed a motion asking the court to dismiss Count II in Cosentino’s complaint, which argues that the County Commission violated the county’s Comprehensive Plan by vacating a road segment on a body of water. In Count II of his Second Amended Complaint — filed on Feb. 3 of this year — Cosentino contended that the county failed to meet the legal deadline for posting the official notice of the road vacation. He also argued that the county failed to require the disclosure of the names of all the owners of property who applied for a Coastal Setback Variance to construct new buildings in place of 12 older ones on North Beach Road. Dennis and Wendy Madden won that variance the same day the County Commission approved the road vacation. The Maddens needed to incorporate the property of the vacated road, county staff explained during the public hearing, so they would have enough land to comply with county zoning regulations as they planned the seven new dwelling units. 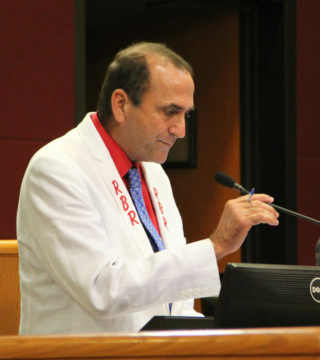 During the Sept. 27 hearing on the county’s motion for partial summary judgment, Judge Mercurio pointed to a document Cosentino’s attorney, Ralf Brookes of Cape Coral, had provided in Cosentino’s Sept. 22 response to the county motion. That document shows that the road vacation resolution was duly adopted on May 11, 2016. “There’s a stamped signature here,” Mercurio told Pearce. By law, therefore, the resolution should have been published within 30 days of May 11, Brookes pointed out. “I think we’ve heard a couple of new arguments that were not in [Cosentino’s] response [to the motion for partial summary judgment],” Pearce told the judge during rebuttal. The County Commission was directing staff “to complete the ministerial act,” he added, referring to the adoption of the resolution with the new easement. Mercurio then asked Pearce who determined what the County Commission asked for in regard to that 5-foot-wide easement. Pearce directed the judge to look at materials he had provided the court prior to the hearing, illustrating his points. “It’s not a situation where anybody’s exercising any sort of discretion,” Pearce pointed out. “I’m afraid I can’t make it out either, your honor,” Pearce replied. 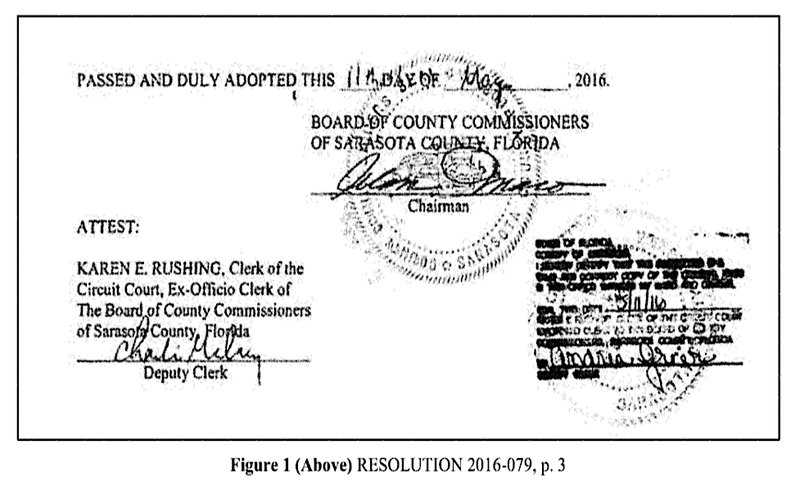 “So then this document on May 11, even though it has the clerk’s attestation [and seal], that’s not putting this into the public records of Sarasota County at this time?” Mercurio asked. It could not have become part of the public record without the additional information about the 5-foot-wide easement, Pearce responded. The other part of Count II in Cosentino’s complaint, regarding disclosure of ownership, is rooted in Section 3.9 of the Sarasota County Charter. That says, “All persons or entities applying for rezoning, special exceptions, or variances, shall disclose the true ownership interests in any property sought to be rezoned and shall further disclose the true parties in interest in any corporation, trust, partnership, limited partnership or any legal entity of any type in their zoning application,” Pearce pointed out in the motion for partial summary judgment. The Charter also calls for all applications related to zoning “or any other form of land use change” to be presented on official county forms. Pearce argued during the Sept. 27 hearing that that section of the Charter does not apply to Coastal Setback Variances. The latter are not even in the same section of the County Code as the zoning regulations, Pearce pointed out. Section 3.9 of the Charter “is not applicable in this particular instance,” he added. Yet, Brookes told the judge that the Charter “clearly uses the word ‘variances.’ This is a Gulf Beach Setback variance” in the May 11, 2016 case, Brookes pointed out. The Maddens were seeking the variance so their new structures could extend partly beyond the Gulf Beach Setback Line (GBSL). 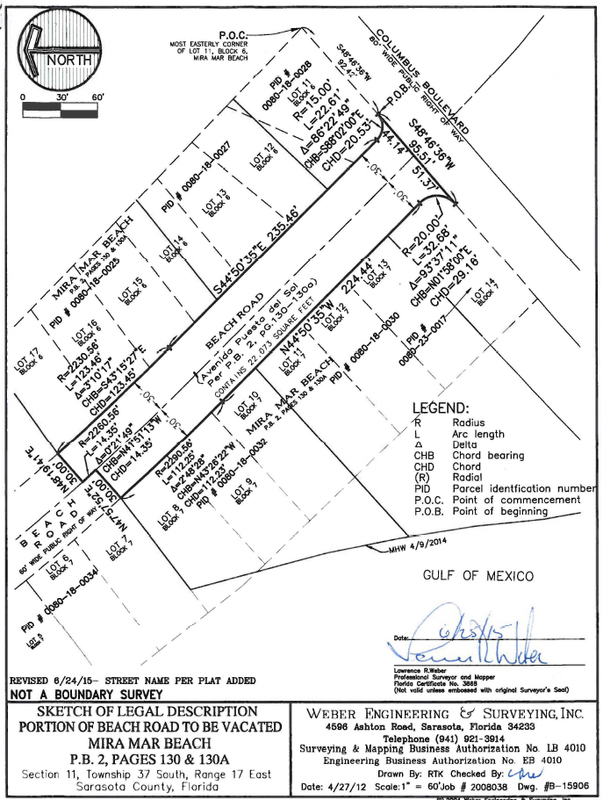 In this case, Brookes continued, the variance involves a setback from the Gulf of Mexico, just as variances in other cases involve setbacks from property lines. And in this case, Brookes continued, the commissioners gave “special treatment” to the Maddens. On April 5, Mercurio held a hearing on a motion by the Maddens for partial summary judgment in the Cosentino case. 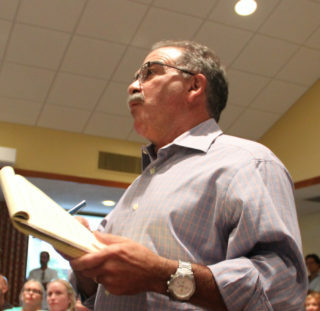 That involved Cosentino’s argument about the couple’s need for the 8,265 square feet of vacated road segment to comply with the zoning regulations for the new structures they plan to build on North Beach Road. Cosentino had a number of supporters in court for the April 5 hearing. On Sept. 27, however, only one was present. Cosentino’s co-counsel in the case, Elizabeth Gomez-Mayo, joined Brookes at the plaintiff’s table, while Tommy Gregory of the Williams Parker firm in Sarasota represented the Maddens, as intervenors in the case. Another attorney, Joseph Haynes Davis, participated in the hearing by telephone. He represents William H. Caflisch and Sheila Sanchez Caflisch, who also are intervenors in the case. They were among the three sets of petitioners for the North Beach Road segment vacation. Davis practices in Orlando, according to 12th Judicial Circuit Court records.